100 Points Kick 30 mines against a boss. To Smithereens 10 Points Secret Medal: Unlock this medal to view its details! 5 Points kill 100 zombies with a handgun in a single round. 02) 300 handgun kills 5 Points kill 300 zombies with a handgun in a single round. 03) 600 handgun kills 5 Points kill 600 zombies with a handgun in a single round. 04) 600 handgun total 5 Points kill a total of 600 zombies with your handgun. 05) 1200 handgun total 5 Points kill a total of 1200 zombies with your handgun. 06) 1800 handgun total 5 Points kill a total of 1800 zombies with your handgun. 07) Handgun lvl 10 5 Points get your handgun to level 10. 08) Play 5 games 5 Points play at least 5 games till you die. 09) Play 15 games 5 Points play at least 15 games till you die. 10) Play 30 games 5 Points play at least 30 games till you die. 11) 250 mp5 kills 5 Points kill 250 zombies with a machine gun in a single round. 12) 750 mp5 kills 5 Points kill 750 zombies with a machine gun in a single round. 13) 1500 mp5 kills 5 Points kill 1500 zombies with a machine gun in a single round. 14) 1500 mp5 total 5 Points kill a total of 1500 zombies with your machine gun. 15) 2500 mp5 total 5 Points kill a total of 2500 zombies with your machine gun. 16) 3500 mp5 total 5 Points kill a total of 3500 zombies with your machine gun. 17) Machine gun lvl 10 5 Points get your machine gun to level 10. 18) 500.000 score 5 Points get a score of at least 500.000. 19) 2.500.000 score 5 Points get a score of at least 2.500.000 points. 20) 10.000.000 score 5 Points get a score of at least 10.000.000 points. 21) 500 shotgun kills 5 Points kill 500 zombies with a shotgun in a single round. 22) 1500 shotgun kills 5 Points kill 1500 zombies with a shotgun in a single round. 23) 3000 shotgun kills 5 Points kill 3000 zombies with a shotgun in a single round. 24) 3000 shotgun total 5 Points kill a total of 3000 zombies with your shotgun. 25) 4500 shotgun total 5 Points kill a total of 4500 zombies with your shotgun. 26) 6000 shotgun total 5 Points kill a total of 6000 zombies with your shotgun. 27) Shotgun lvl 10 5 Points get your shotgun to level 10. 28) Kill 800 zombies 5 Points kill at least 800 zombies in a single round. 29) Kill 2200 zombies 5 Points kill at least 2200 zombies in a single round. 30) Kill 5000 zombies 5 Points kill at least 5000 zombies in a single round. 31) 500 flamethrower kills 5 Points kill 500 zombies with your flamethrower in a single round. 32) 1000 flamethrower kills 5 Points kill 1000 zombies with your flamethrower in a single round. 33) 1500 flamethrower kills 5 Points kill 1500 zombies with your flamethrower in a single round. 34) 2000 flamethrower total 5 Points kill a total of 2000 zombies with a flamethrower. 35) 4000 flamethrower total 5 Points kill a total of 4000 zombies with a flamethrower. 36) 6000 flamethrower total 5 Points kill a total of 6000 zombies with a flamethrower. 37) TAAANK! 5 Points get your health to at least 250. 38) 5000 kills total 5 Points kill a total of 5000 zombies. 39) 12000 kills total 5 Points kill a total of 12000 zombies. 40) 20000 kills total 5 Points kill a total of 20000 zombies. 41) Earn 50.000 5 Points pickup 50.000 gold in 1 round. 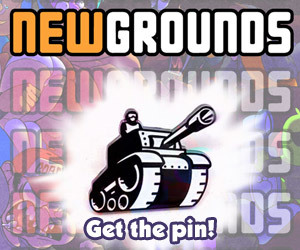 42) Earn 100.000 5 Points pickup 100.000 gold in 1 round. 43) Earn 200.000 5 Points pickup 200.000 gold in 1 round. 44) Earn 200.000 total 5 Points pickup a total 200.000 gold. 45) Earn 500.000 total 5 Points pickup a total 500.000 gold. 46) Earn 1.000.000 total 5 Points pickup a total 1.000.000 gold. 51) Pickup 25 icons 5 Points pickup 25 icons in a single round. 52) Pickup 50 icons 5 Points pickup 50 icons in a single round. 53) Pickup 100 icons 5 Points pickup 100 icons in a single round. 54) 100 icons total 5 Points pikcup a total of 100 icons. 55) 200 icons total 5 Points pickup a total of 200 icons. 56) 300 icons total 5 Points pickup a total of 300 icons. 66K Points! 100 Points Secret Medal: Unlock this medal to view its details!